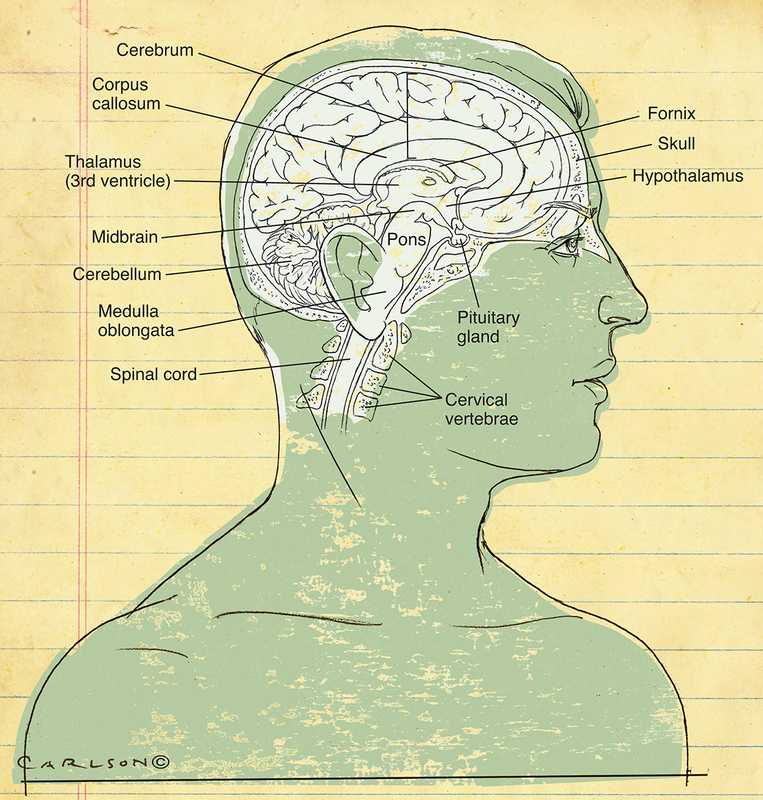 Poster style illustration of the midsagittal anatomy of the human brain. Also available with labels. Image © copyright by Dave Carlson.